Recently, with the stratospheric popularity of HGTV’s Fixer Upper, a younger generation of customers is hitting up flea markets, antique shows and shops to find those special pieces that will add farmhouse style to their homes. For some it’s a more economical way to get the Pottery Barn look without spending Pottery Barn money. For others, they prefer pieces with character and real patina that can’t be mass produced. They aren’t necessarily collectors and they may not fill up every room in their homes with primitives from corner to corner, but they are growing in number and they are ready to shop. I had so much fun shopping with them and showing them around that day. Later on I was able to see how they used the pieces they bought in their homes which I LOVE. Since then, I have enjoyed following them on Instagram and can’t wait to see the results of their 2016 shopping trip later this year. Tanya (@tanya.clark.home) bought this chippy green stool from my parents (@thegoodhome). I have to admit that it didn’t look that special to me when I saw it the first time, but when I saw what she did with it I was impressed! I happen to be a big fan of farmhouse style, which you probably know if you follow this blog or my feed on Instagram. Even though I don’t live in a farmhouse I have found ways to add touches of it throughout my home. There really are no rules to what is or isn’t farmhouse style. Everyone has their own spin on it and it can be blended with so many other styles such as Industrial, Cottage and Modern. There is usually a focus on simplicity and evoking a feeling of warmth and nostalgia. Pieces are sturdy and functional yet beautiful and timeless. As a result of the style’s growing popularity, reproduction farmhouse decor is a huge market and you can buy it just about anywhere you turn. 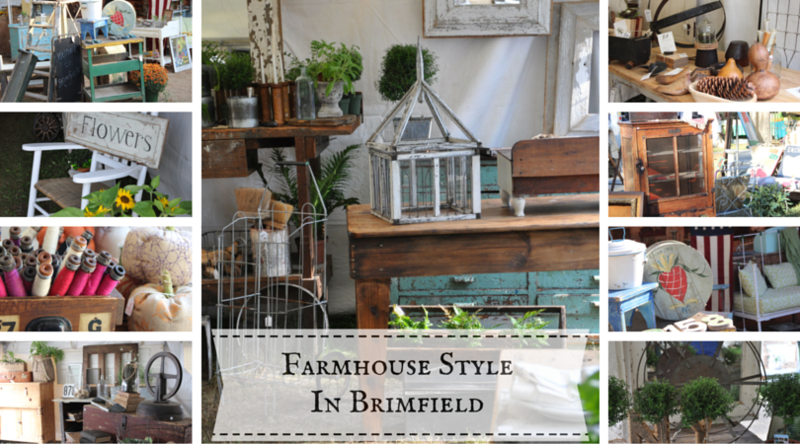 But if you want the real thing, Brimfield is the place to get it.